Adrianna is a litigation associate in the firm’s Billings office, whose practice focuses primarily on workers’ compensation defense, as well as insurance and bad faith defense, and other general civil litigation matters. Adrianna’s litigation experience includes insurance defense and workers’ compensation. Adrianna has authored numerous briefs in trial courts throughout Montana, and appellate briefs before the Montana Supreme Court. Raised in St. Ignatius, Montana, Adrianna attended Montana State University. In 2010, she graduated with honors, receiving a degree in Liberal Studies. After her time at MSU, Adrianna attended the University of Wyoming College of Law. While at UW, Adrianna received an Excellence in Advocacy award, and the American Bankruptcy Institute Medal of Excellence. Adrianna was also a member of a moot court team that advanced to the regional competition in Seattle in both 2012 and 2013. 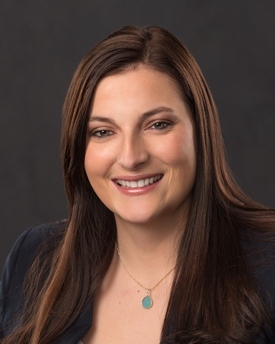 Prior to joining Crowley Fleck in 2017, Adrianna was an associate attorney with Matovich, Keller & Murphy, P.C., mainly focusing on insurance defense and bad faith litigation, as well as workers’ compensation. In her spare time, Adrianna enjoys riding horses, reading, spending time with family and friends, and enjoying everything that Montana has to offer.